In the center of our galaxy there is a supermassive black hole known as Sgr A*. Through observations of stars orbiting the black hole, we know it has a mass of about 4 million Suns. 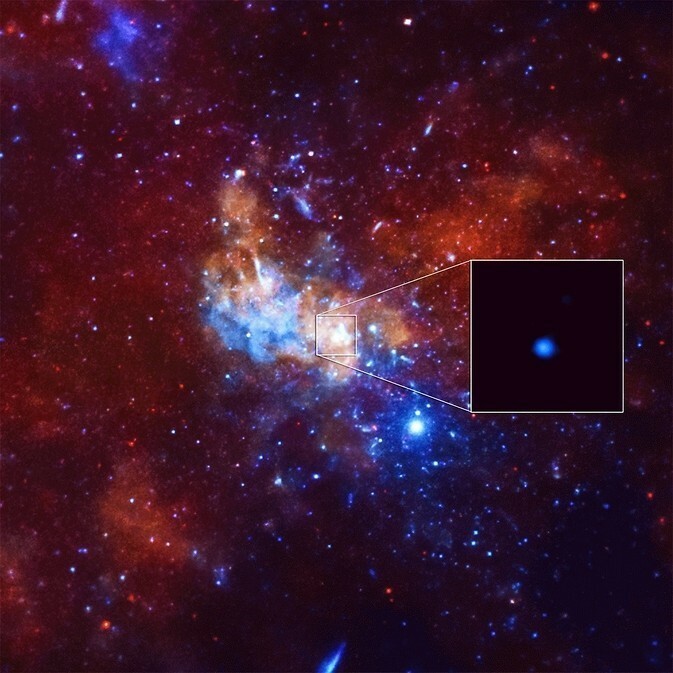 Normally this black hole is pretty quiet, but in 2013 there was an unexpected x-ray burst. What’s interesting about this burst is the shortness of its duration. In just a couple of hours Sgr A* brightened by a factor of 400 before fading to normal levels. Given the duration it is possible that an asteroid-sized object was captured by the black hole, creating a burst of energy before crossing its event horizon. Simulations of such captures indicate that the body would be ripped apart by tidal forces and greatly heated before final capture, which would produce an x-ray burst lasting an hour or so. Another idea is that it could be due to magnetic field lines in the black hole’s accretion disk snapping into realignment after being twisted around the black hole. We see similar effects with the magnetic field lines of the Sun and other stars. Time lapse of the x-ray burst. It’s difficult to be sure, because Sgr A* is hidden behind a wall of gas and dust in the center of our galaxy known as the zone of avoidance. This means visible light from that region is blocked, and we can only observe Sgr A* with radio waves and x-rays or gamma rays. It isn’t possible to detect small bodies such as asteroids or planets orbiting the black hole. 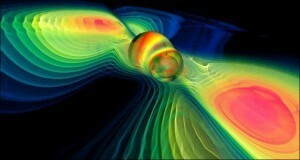 If other small bodies are heading for the black hole, we won’t know until after it’s happened. These events are really stunning…. but most importatn we have the technology to see them. First could observe this in other galaxies. Second would it yield any insight to out galaxy since we can’t observe directly.